On the first anniversary event we decided to donate our organs. We spoke with Mohan Foundation with regard to this activity and they are glad to help us. Others who wish to join us can see the detailed process below.. 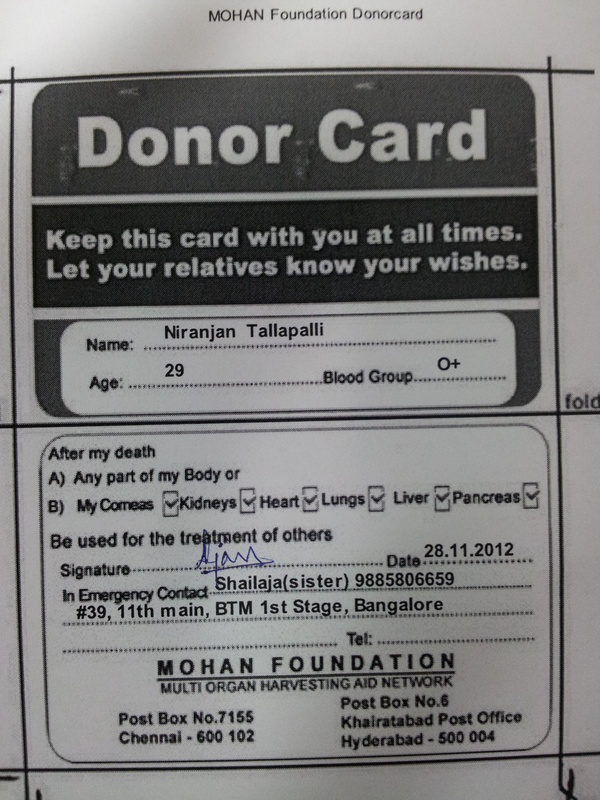 Fill this page and download your donor card. Once your donor card is downloaded, keep it with you and inform your family about your wish. Send the details you filled to rakesh.dubbudu@gmail.com. From here on we will collate details on timely basis and send them to the Mohan Foundation and update you on the status. We are also planning to do a press release with this information on timely basis.